Long time back, I had visited J.P Nagar for one of my cousin’s marriage and the auto passed in front of a building painted in blue borders which read Rangashankara, the word “shankara” immediately resonated! An alien myself to the world of Theatre, then called as “Drama” the building for me looked like a Multiplex, “May be they have built a new cinema hall here..” i reconciled myself, probably the only relation I could derive for myself was with “Shankar Nag” Theatre situated on the main road of M.G Road. Times passed by and then the day I entered into Theatre, the word Rangashankara seemed as synonym for Theatre and why not? Some of the classic plays came down to Bangalore during the last decade and the reason they came here was the fact that Rangashankara was in Bangalore, err now Bengaluru! In 2006, when I started my career in theatre, my motive was to perform in Rangashankara, with a straight face I rode my two wheeler and parked in front of Rangashankara, confidence was oozing, “It’s an art which I have mastered” is what I felt! Before even applying; my confidence asked me to catch a play since there was time, I smiled at myself and sat in the auditorium; probably for the first time I had even entered RS. Just by the look of the stage and the seating I lost my nerve, that’s when the nervous me laughed at my “confidence” and post watching the performance that day I quietly walked out not even daring for a chance to perform here! That’s when I realized that “It’s an art that I can never master..” but the challenge was ON and the motive was clear now. “Perform a play in Rangashankara”, probably the purpose of the me doing theatre started revolving around the same motive. Years passed by and but the motive never seemed to become a reality! may be we did not deserve it or may be we had to earn it more? There were many questions. “It is 7:32 p.m, Sorry you are not allowed, we stick to our rules” I heard on one fateful day when an audience was just not allowed! That was the dedication & commitment the place had for Theatre. I still remember the day when “Blue Mug” play was staged in Rangashankara and my friends called me with all delighted hopes that I will get them tickets since I was just part of this huge fraternity called ‘theatre’, frankly I laughed to myself that day…. It happened one day, I had got that one call from RS where we were asked to perform, I still remember that day till date only for the fact that I had not stopped smiling whole day! It had happened to me after almost 3 years of me stepping into Theatre! the motive was finally achieved.. Life had come a full circle, this time I heard the legendary voice of Girish Karnad requesting to switch off the cell phone from the light room! The only hope that day was if at all I could perform here again my life! 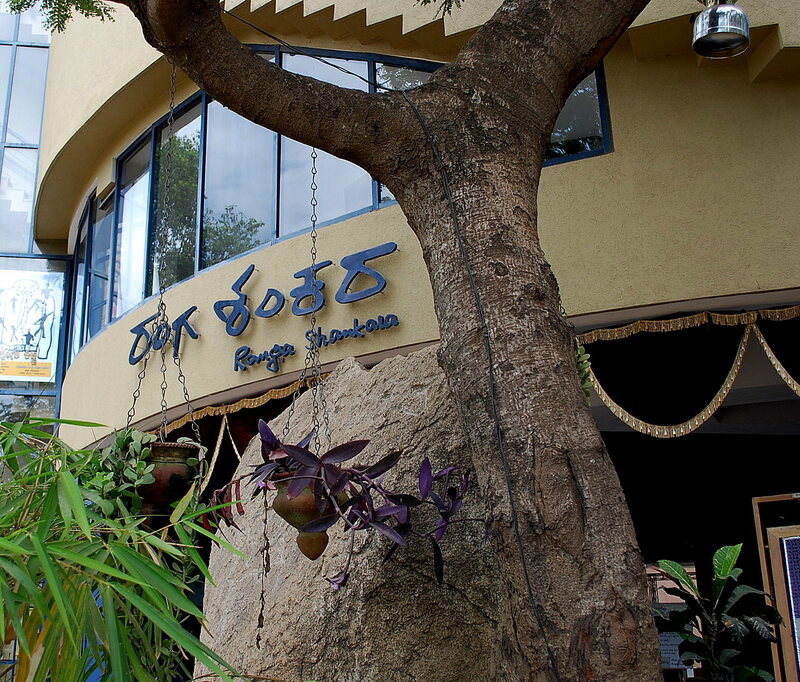 Bengaluru as a city is known for several revolutions, we were the first one’s to grow the seed of IT and then nurture the dreams of BT, Rangashankara started probably one of the biggest movement of bengaluru, Theatre. “Putting Drama into peoples lives” is afterall not an easy job to do and they are doing it constantly for past 10 years, day by day! Rangashankara has taught us lot of theatre enthusiasts like me who almost grew up seeing RS being built and being operational not only the power of Theatre but what one can achieve with constant dedication and commitment. Even today I get equally excited and smile the whole day when Muddana calls me asking to perform, after all it was the only motive I had when I started my Theatre! Happy Birthday RS, 10 is just a start!